We are offering our customers a wide range of Laptop Hard Disk Drives, which are made from excellent quality raw materials. 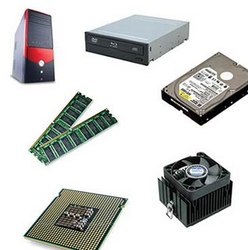 We are involved in the trading and supplying of a wide range of computer hardware and peripherals that are procured from various renowned manufacturers. Available in different specifications, these are installed with great ease and are extremely efficient and high in performance. Designed by experts, our range of easy to install hardware guarantees high degree of operation.